Credit cards, mortgages, car loans, store credit, investment loans and business loans are all ways of borrowing money to achieve different goals. While they may achieve different goals, they are all fundamentally the same; you borrow a sum of money and repay it over time, with interest. Borrowing money can lead to positive or negative outcomes depending on how you actually go about it, and how this strategy is carried out over the life of the loan. What am I borrowing for? The terms good and bad debt are sometimes used to refer to certain situations when we borrow money. A 'good debt' generally refers to debt which is used to invest in an investment asset, which might appreciate in value and provide income over time. Examples are borrowing to invest in property, shares, or a business. In many cases this type of debt will attract favourable tax treatment with the interest paid often being considered a tax deductible expense. Please note, there are exceptions to this and personal advice is highly recommended. 'Bad debt' refers to a situation where you borrow money to invest in something which doesn't hold its value - like a car or a TV. 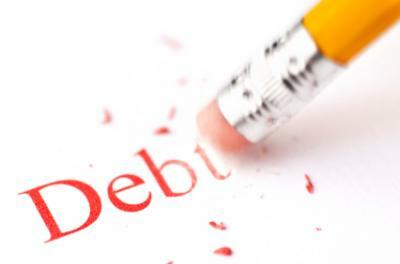 Bad debt also refers to credit card debt which has accumulated through paying for goods and other everyday expenses. Some people also refer to a personal mortgage being 'bad debt', due to the fact that the interest paid is not tax deductible, although you can still see an increase in the value of the home, although this isn't guaranteed. Whether you should borrow depends on what you are trying to achieve and on your ability to meet regular loan repayments. Based on the above description of good and bad debt, it's difficult to justify the benefits of racking up a credit card debt to buy consumer items just to satisfy the urge to go on a shopping spree. Generally speaking, you'd be better off spending extra time saving before you go out and purchase the new fridge or iPad. It's important to point out that store cards and credit cards often have extremely high interest rates too. Interestingly, credit card companies now need to alert you to this. If you wish to purchase a property to live in or rent out, it can often make sense to borrow. This type of asset often increases in value over the longer term (although this is not guaranteed), and it would take a long time to save enough money to pay for it in cash. If you borrow to purchase an asset (such as property, shares) that produces an income, not only can the income you receive help to pay the interest repayments but there may also be taxation advantages associated with the interest cost of the loan. Completing a budget to determine how much debt you can afford to service is one of the most important things you can do prior to taking a new loan. Once you know what you can confidently afford you can then shop around for the loan which best suits your needs. Be sure to look particularly at interest rates, fees and features that suit your personal circumstances. When increasing your debt levels, you also increase your living costs, and accordingly, it's important to put in place or review your Income Protection insurance, which replaces part of your employment income if you are unable to work due to illness or injury. It's also highly recommended to review other insurances such as Life insurance and Total and Permanent Disabilty insurance when increasing debt levels. There are some things you can do if you are struggling to reduce your debt. Firstly, by completing a budget you can work out where you can make savings and direct those funds into your loan. If you have assets you can sell then these too can be used to reduce debt. What can you sell online or sell at a garage sale? Do you have a bike that you never use, baby gear or car seats? In the case of a mortgage, a useful strategy may be the use of a mortgage offset account to direct your savings into. This means rather than receiving say, 3% interest on your savings whilst being charged 6% interest on your mortgage, your savings will be offset against the balance of your mortgage. This effectively means you are achieving 6% on your cash savings! One of the most overlooked money saving tools is an appropriate loan repayment frequency. Most lenders will allow you to make your mortgage payments at intervals that suit your needs and preferences yet most of us will choose to make monthly mortgage repayments on our home loans. Switching to weekly or fortnightly repayments may make it simpler to manage repayments from a budgeting perspective. Additionally, the earlier you make a payment off your loan, the more it saves you in interest and therefore how long it will take to pay the loan out. If you have multiple debts it may be beneficial to consolidate and refinance your debts. This means establishing a new loan by combining all of your existing debts into one. Do this at the lowest possible fees and interest rate you can achieve with only the appropriate features for your needs. When dealing with a bank, don't be afraid to try to negotiate a rate lower than the advertised rate. You may not need to change banks; by simply calling and telling the bank you are considering moving, they may offer you a better deal anyway. If you are not confident dealing with a bank direct or you want to shop around you're lending without doing all the work yourself, you could consider using a broker. If you are having trouble meeting your commitments, then it's important that you do something about it as you might not realize the effect it's going to have on your credit. Your credit card payments and level of debt have the most impact on your credit score. A poor credit score may make it difficult to obtain credit or borrow in the future and if you do secure credit, it will generally be at a much higher interest rate. Accordingly, if you find yourself falling behind in loan payments, with seemingly no way to get up to date, it's important to take action. One option is to look at refinancing the debt. You may wish to try to negotiate with your bank or lender. Contact them and explain your situation, and explain how much you are able to pay now and when you will be likely to make another payment. In many cases they will be obliged to consider part payments and late payments. Make sure any agreements are provided in writing and make a note of discussions you have during phone calls. You may also be able to apply for an early release of superannuation on 'compassionate grounds' or 'grounds of severe financial hardship'. Access to superannuation can be difficult, but if eligible it means you can access some of your retirement savings early in order to meet overdue loan payments or overdue bills. Such a strategy needs to considered carefully as doing so can lead to financial difficulty in the future if appropriate savings plans and measure aren't put in place. Debt plays an important role in our financial lives and knowing how best to manage it can ensure a positive relationship with creditors and a positive credit rating. For those interested in their credit rating, you can request a free copy of your credit rating report. Understanding your credit file enables you to make more informed decisions regarding your finances. As always, if you need help, it pays to seek advice from a financial specialist or lending professional. If you want to look at the funny side of debt, watch this video.